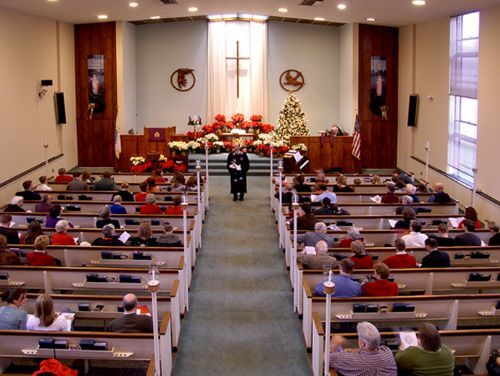 Our Sunday worship service is a traditional service held at 11:00 AM in the Sanctuary. Communion is served the first Sunday of each month. Our church staff work together to design meaningful services that reinforce each week's message through scripture, prayer, music and Sunday School. 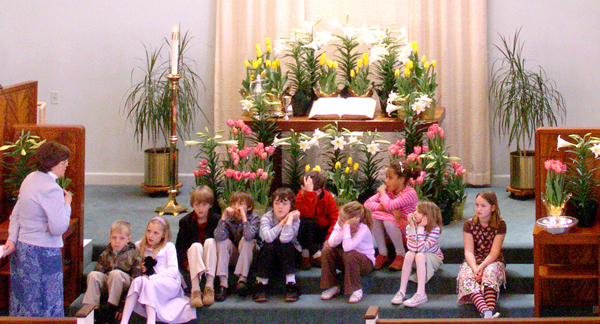 Children are always welcome at worship. Click here for more information about our children's worship programs and here for the Sunday School Schedule. Summer Outdoor Worship Is Coming! 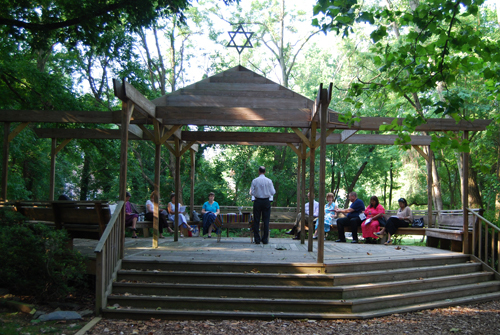 In addition to the regular 11:00 AM service, Warner's tradition of summer outdoor worship in the pavilion behind Temple Emanuel is held in the months of July and August. Bring a friend or neighbor and try a different worship experience this summer. Get closer to God in this beautiful outdoor setting. Hear the birds and feel the cool morning breezes. Music is provided by guitar and voices and communion is shared. In case of rain, the service will be held in the Warner library. Temple Emanuel is just down the street from Warner at 10101 Connecticut Avenue. Click here for directions.